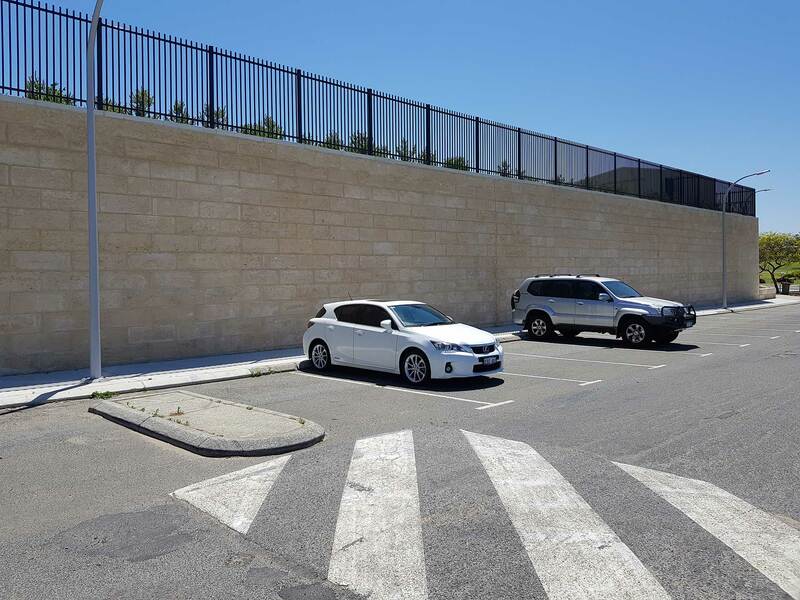 This development asked for a wall that was different. 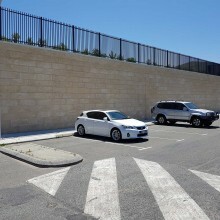 Stonecivil was asked to produce a Tensar Wall instead of a mass wall. 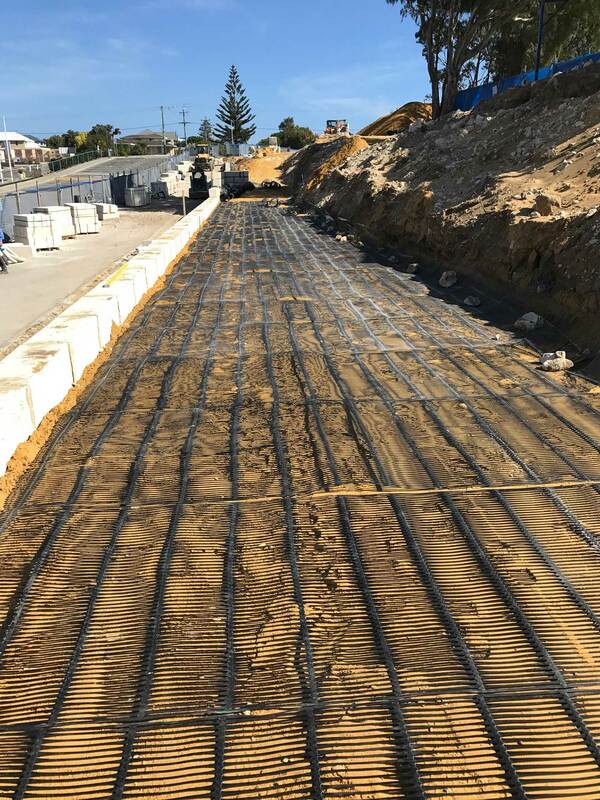 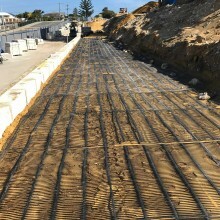 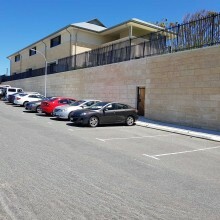 The wall was constructed to a height of 15 courses with 6m long Tensar lengths running at the back and being pinned into the backfill, allowing for a single skin face design and removing the need for key blocks on the front face, giving a clean visual appearance. 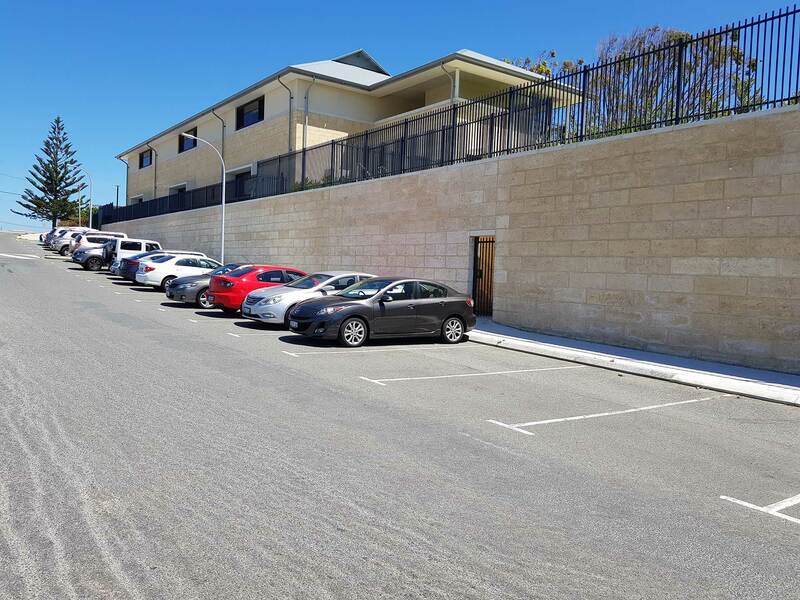 Another key difference was the staircase built through the wall so access to the school could be gained through a doorway with invisible rear steps; as a result this development is up for awards through Builders Choice Magazine and Master Builders WA.